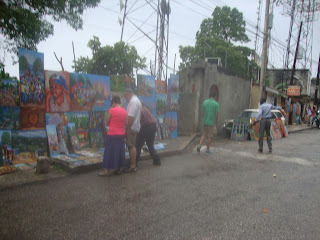 Today is our last full day in Haiti. We started the day at Port-Au-Prince Fellowship church. 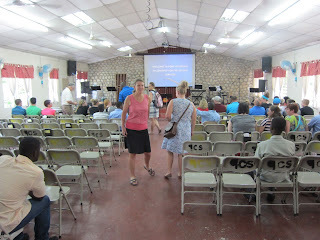 The service and worship were excellent. The service itself brought about different emotions among the team. There was not a particular message, we spent that time praying for people in need. We started by praying for a few members of the church who were the victims of recent robberies and other violent crimes. All of these people who were victims of these acts expressed how they remained thankful and could praise God that they were still alive and still can trust God to provide for them. In spite of the violence, the people that were suffering could still rejoice in the Lord. Even though there is a large disparity in incomes and living conditions, there is beauty all around each and everyone of us on the island. 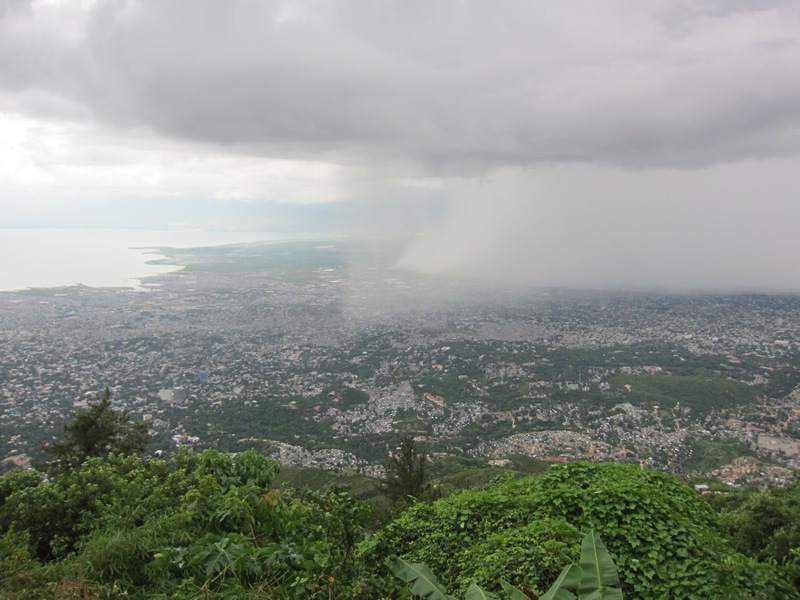 We saw the wonders of Haiti when we took a trip to the top of the mountain and spent some time taking in the view from the Observatory deck, we can all testify that Gods hand is in all creation. The natural air-conditioning at the top of the mountain was welcome by some and not so much by others. In a few short minutes, the climate changed so much, further evidence of the power of God. On the way to the top and at the top of the mountain we shopped at a couple of metal markets. It was fun watching the unstoppable vendors as they were trying to sell their goods. It is easy to get caught up in commercialism in the United States, let us not get caught up in idolatry of a busy technological world. This trip was a reminder to us all we can make time for the important things in life to continue to grow our faith. Team... recall anything about the words in bold?